If you are a college-bound student living with Cerebral Palsy, there is financial aid reserved exclusively for you. Studies specifically related to the disease also qualify for financial assistance at many school, for applicants dedicated to advancing research and care alternatives for Cerebral Palsy patients. Individual colleges that host noted health care programs are excellent resources for medically-minded students seeking aid. Colleges and universities also administer scholarships and grants designed to increase college representation among disadvantaged groups; including those students diagnosed with cerebral palsy. Advocacy organizations and private benefactors also engage in educational philanthropy that assists students with disabilities. Tuition and other campus costs are addressed, but assistance is also aimed at transportation and other expenses that impact Cerebral Palsy patients. The following entries illustrate the types of aid available for U.S. higher education. Campus financial aid administrators are well-equipped to illuminate additional financial aid alternatives for students with Cerebral Palsy. The Child Neurology Foundation offers up to ten summer clinical research scholarships annually. First and second year medical students in the United States and Canada are invited to compete for Swaiman Medical Scholarships, which are valued at $3500 each. The money is used for clinical research supported by mentor relationships with child neurologists. Awards are named to honor the founder of the CNF, and are made possible through generous funding by Questcor Pharmaceuticals. AMBUCS has provided more than 14,000 scholarships for graduate and undergraduate students studying physical and occupational therapy. 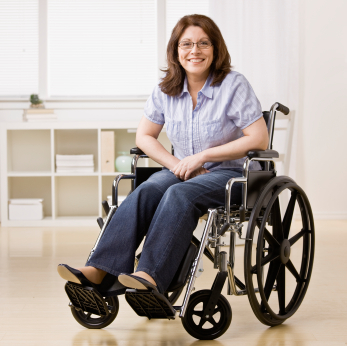 The non-profit sevice organization stands committed to increasing mobility and independence for disabled individuals. Since 1955 the organization has dished out more than $7 million worth of college assistance for therapy education. College Juniors and Seniors are invited to apply for scholarships, which totalled more than $150,000 in recent years. Medical schools across the country award scholarships for specific fields of study. Additional scholarships are non-restrictive, so they are applied to a wide range of educational pursuits. If your academic major leans toward therapy and neurology specialization, you may qualify for targeted financial aid programs that assist your department. Individual campus financial aid offices and medical school department heads are the best points of contact for medical scholarship-seekers. Advocacy organizations push disability causes forward with higher education scholarships designed to increase college access for disabled students. Some benefit the afflicted, while others lift-up research and support professions that contribute to better outcomes for Cerebral Palsy patients. The Florence P. Kendall Doctoral Scholarship provides awards worth $5,000 each to assist graduate students with outstanding potential. First year graduate students pursuing doctoral degrees in physical therapy disciplines are eligible to apply. United Cerebral Palsy of Central Minnesota offers scholarships to students from Steams, Benton and Sherbourne counties who have been diagnosed with Cerebral palsy. The John J. Ingalls Scholarship administered by United Cerebral Palsy of MetroBoston, Inc. awards individual $5,000 scholarships for undergraduate and graduate students who have been diagnosed with a physical disability. United Cerebral Palsy of Chicago offers scholarships worth $2500 each. Several criteria govern applicants’ evaluation, including proficient use of assistive technology in higher education settings. Additional opportunities are available nationwide. Consult your nearest UCP chapter for specific regional program information. Foundations, associations and scholarship endowments provide further resources for students facing certain challenges. Use these references to uncover student aid for disabled college students; specifically those suffering from Cerebral palsy. Foundation Center - Funding for people with disabilities. University of Iowa – Student Disability Services. A law firm in Waukegan Illinois sponsors an annual Law School Scholarship Essay Contest for students who submit winning essays about Cerebral palsy. The Ethel Louis Armstrong Foundation offers scholarships to female graduate students with disabilities who are attending college in the United States. Students at Southern Methodist University, and other noted schools, benefit from Armstrong Scholarships.